Schindler’s List, Titanic, Armageddon—they all have one thing in common aside from being great movies. These films entertained us at the same time made us cry a river, even the most macho men you know will lose it if they watch these films. We know it’s just an acting—actors are paid to do those heart-breaking scene that made us feel that way—but still, we can’t help but be affected by the emotions evoked in us. The movies listed below, though not as popular as the ones mentioned above, are worth watching if you’re the kind of person who like watching tearjerker films. At sixteen, Lilya is abandoned by her mother, who migrated to the US with her boyfriend. She was left to fend for herself in an impoverished place somewhere in Soviet Union. She was forced into prostitution by the very people she thought she can count on. You will cry for her, for her naive dreams and hopes that were shattered. The movie shows us the harsh reality of life some of the children are facing. Another tearjerker film adapted from the book by the same name. Though some scenes are different, it is still pretty similar to the actual life of James Bulger. Two young boys killed a girl. After many years, one of the boys, Eric (Andrew Garfield) is released after serving his sentence. He tries to be a good citizen and lives a new life under the name Jack Burridge. Despite his insecurities, he is able to find a job, form a friendship with his co-worker Chris, and fall in love with a girl at the office, Michelle. His one act of kindness changes everything. It will crush your heart to see a young man trying to fit in again, do good in the society—but people are not giving him a chance. This is a great movie not because it won an award at the Cannes Film Festival for Best Screenplay and was nominated for Best Foreign Language Film at the Academy Awards, but because it is simply an excellent film. It is about an ordinary man trying to fight all the injustices all by himself. When the town mayor announces his plan to demolish Kolya’s house, which the poor man built with his own hands long ago, he fights back. It is almost like a man’s fight against the world. How the powerful oppress the poor makes you want to scream and cry. Before you watch this film, make sure that you have an extra roll of tissue beside you. The story plus the excellent performance of four-year-old Victoire Thivisol, who also won Best Actress at the 1996 Venice Film Festival, will make your heart bleed. It’s story about little girl Ponette who is trying to cope with her mother’s death. It’s very heart-wrenching to see her become withdrawn and continue to wait for her mother to come back. Her friends in school and her relatives try to help her by explaining the situation. She asks her friend to convince God to let her mother come back. It’s almost unbearable to watch a four-year-old crying her heart out longing for her mother. Changeling is somehow based on real-life events and is produced by Clint Eastwood. This is a sad and heartbreaking story of a single mother Christine Collins (Angelina Jolie) who discovers her son Walter is missing. The authorities are supposedly able to find her son, but when Christine meets the boy, she realizes the boy is not her son. When she tries point this out to the police and the city authorities, Christine, who only wants her son back, is accused of insanity. The film touches police corruption, kidnappings, and child murder. It’s a sad and beautiful film really worth watching. Dancing in the Dark is a musical film—yes, a musical drama film by a director who prefers to drive than fly from Denmark to France, Lars von Trier. It’s a story about Selma Jezkova, a kind-hearted single mom with a degenerative eye disease and musical lover. The role was played by singer and songwriter Bjork, who was awarded Best Actress at the Cannes Film Festival for her performance as Selma. Her son Gene inherited the genetic condition, prompting Selma to work harder and double time at a factory while she still can and save enough money for the operation so her son won’t suffer blindness like her. You will totally lose it when she slowly becomes blind and is sentenced for killing a man. As she is a brave soul, she chooses to die than let her son go blind. She is not afraid to die, but as she approaches the gallows, she becomes hysterical. But knowing her son is okay, she finally faces her fate. 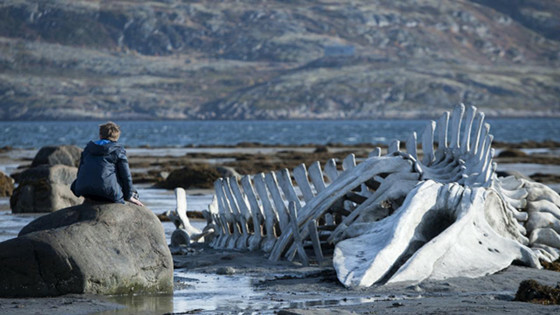 Director Lars von Trier used hand-held cameras, which was very effective as it made the audience feel more like they are participants rather than merely observers of the drama so the viewers can feel the pain and sorrow the film brings. 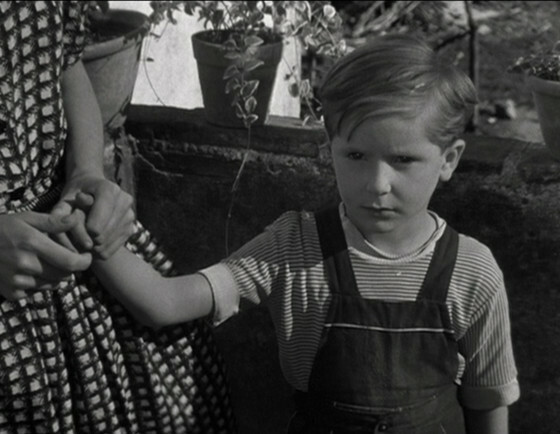 The story of The Children Are Watching Us follows the pain of a young boy Prico when his mother, Nina, decides to run off with her lover Roberto. Nina then comes back and tries to make the family whole again for the sake of her son, but her lover continues to pursue her. As a weak woman, Nina once again succumbs to Roberto’s seduction and runs off again with him. Prico’s father, Andrea, is so heartbroken for his wife’s infidelity—so deeply upset that he believes he can’t care for his son anymore, so he sends Prico to a boarding school, then kills himself. After learning of what happened from his mother, little Prico distances himself from his mother. The sad film reminds parents to be mindful of their actions and words because even though children appear nonchalant, they are actually very observant. If a family disintegrates, the first casualty are the children.